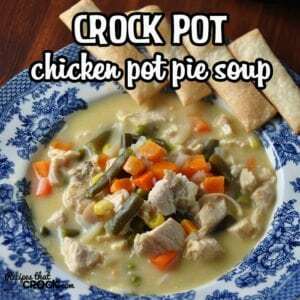 Crock Pot Chicken Pot Pie Soup - Recipes That Crock! If you are looking for a great soup that will be an instant family favorite, then you will want to try this Crock Pot Chicken Pot Pie Soup! My kids were gobbling up their veggies with delight! When I was trying to think of a yummy recipe to make for my family and to share with you great folks, Cris reminded me of one of my favorite recipes, Crock Pot Chicken Pot Pie, that I had made with biscuits. So I wanted to make it again…but with a little twist! I changed up the veggies this time. I love the addition of potatoes, corn and green beans. Yum! We used shredded hash browns and loved it. If you would prefer diced hash browns, go for it! 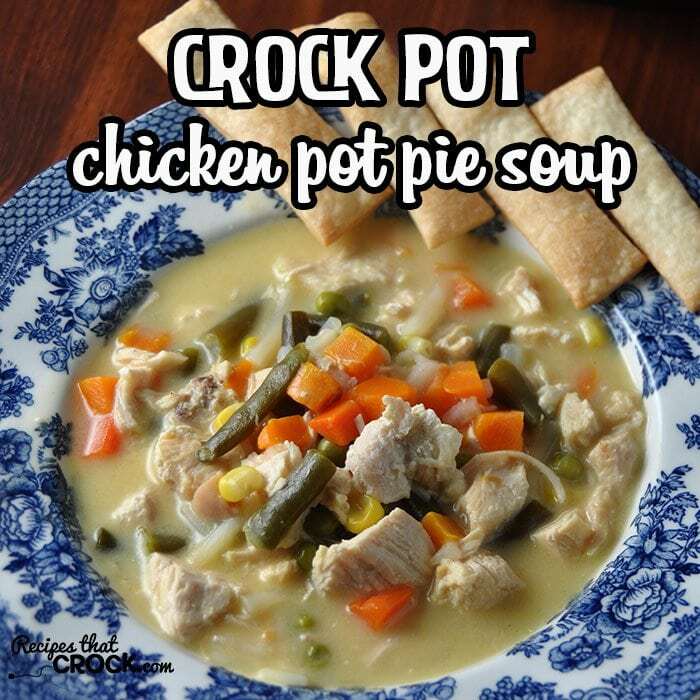 Cris used this pie crust trick when she made her yummy Crock Pot Crustless Pumpkin Pie and it works perfectly with this Crock Pot Chicken Pot Pie Soup! I love to break them into pieces and put them in my soup. Oh. My. Yum. I used my trusty Sir Hamilton (my 6-quart Hamilton Beach insulated, programmable slow cooker). I was going to be gone all day, I knew Sir Hamilton would help Michael make this recipe a success! You can use your favorite 5-6 quart slow cooker. 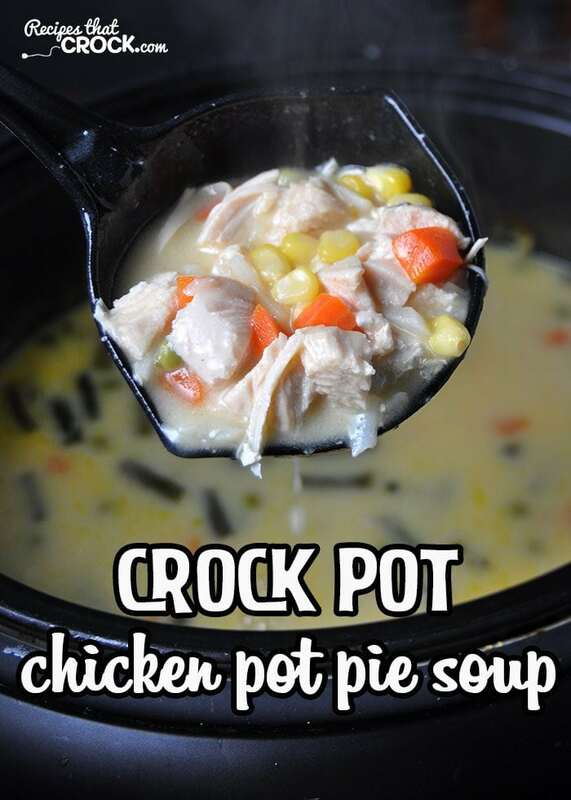 This yummy Crock Pot Chicken Pot Pie Soup is yummy as can be and simple to make! Serve with your baked pie crust strips. They are awesome! The pie crust strips really take this recipe to the next level! Enjoy! This may just be my favorite “kind” of pot pie now! I LOVE it! I also loved that my kids were devouring their veggies like they were candy! haha Enjoy! Can I leave out the hash browns? Sure! That is the great thing about this recipe, you can customize it to fit your tastes easily! Add more of what you like or take out what you don’t like! I hope you enjoy it as much as we do!